Hey everyone. It's been years since i've posted here, good to see the site is still here. I just started collecting again and wanted to share some pics. Very cool. Thanks for joining us on the forum again. 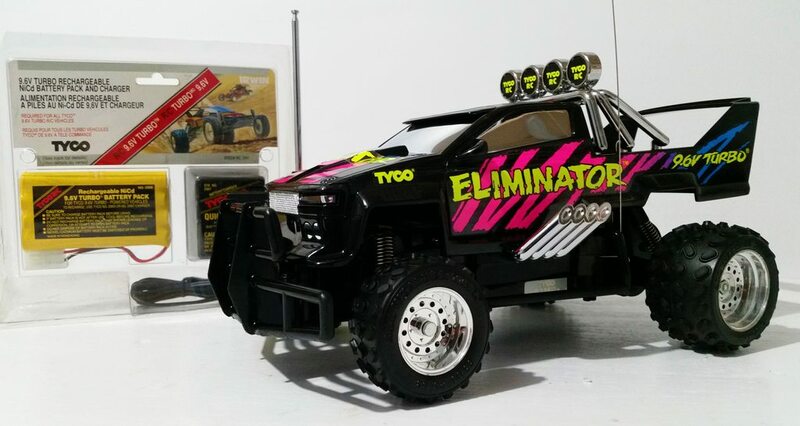 By the way, I really like the looks of that Eliminator. 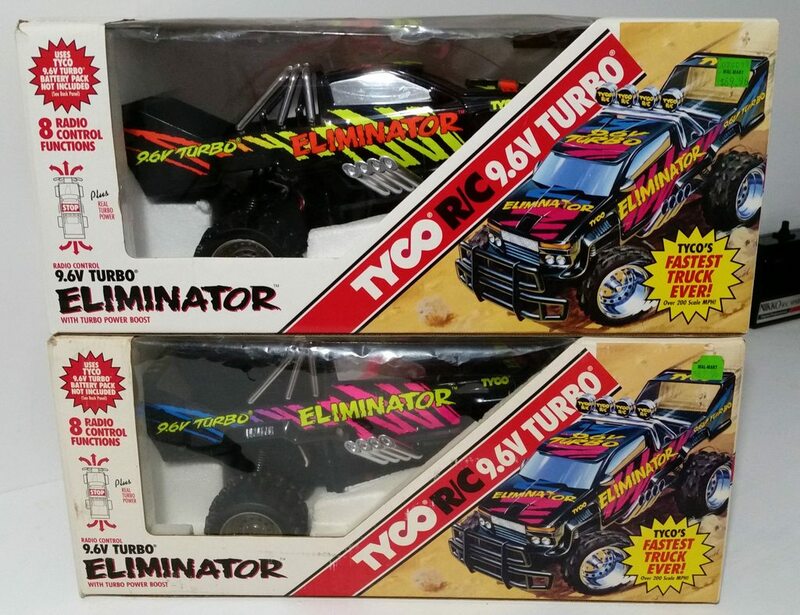 I've been looking at those for a while since they always reminded me of the Tyco Bandit. 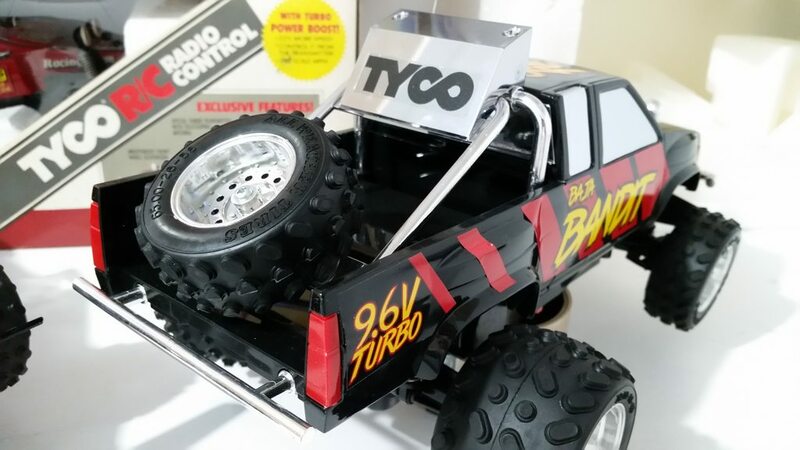 Have you ever had a Tyco Bandit to compare how the two of them handle? One other thing that I just thought of, since I see one in your collection... 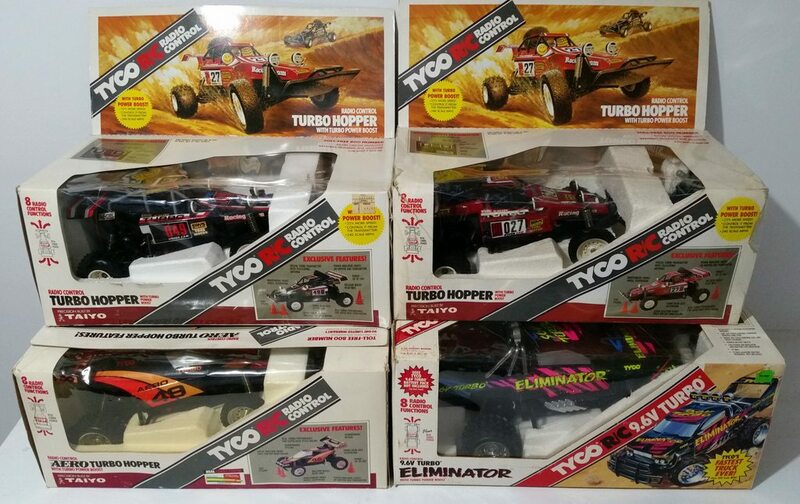 I believe that I have the original artwork of the Aero Turbo Hopper, although sadly it's packed away. It's not up on my wall since I don't have much display room near my desk in my den. I've had a couple Bandits in the past. 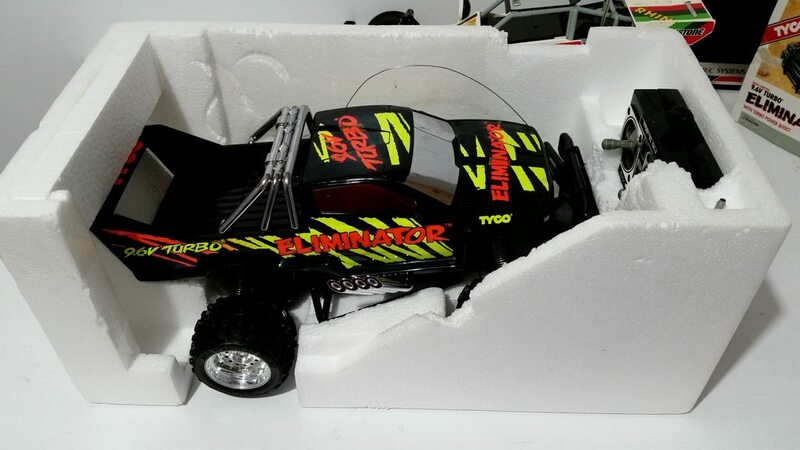 I know the Eliminator actually has articulation in the rear suspension as it allows the rear pivot point to not only pivot, but also move up and down where the screw pin mounts it to the main chassis where as the Bandit only allows it to pivot on the pin same as the Turbo Hoppers...not sure if Im explaining that well enough. 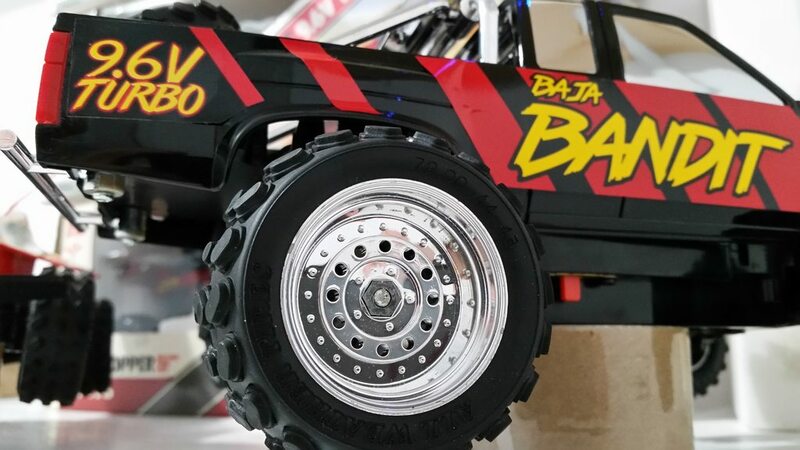 And from what I remember on the Bandits, the Eliminator has just a little bit longer shocks on the rear, but I think the front suspension is pretty close, if not the same. I was really surprised by how active the rear suspension is on the Eliminator with the longer travel and it also seems to have softer springs. 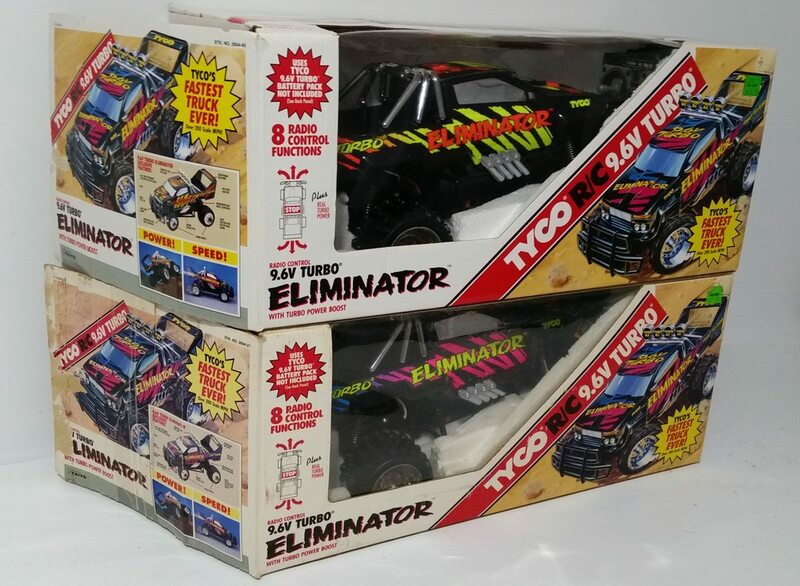 I picked up another Eliminator. This one was really dirty and full of really fine beach sand when I got it. 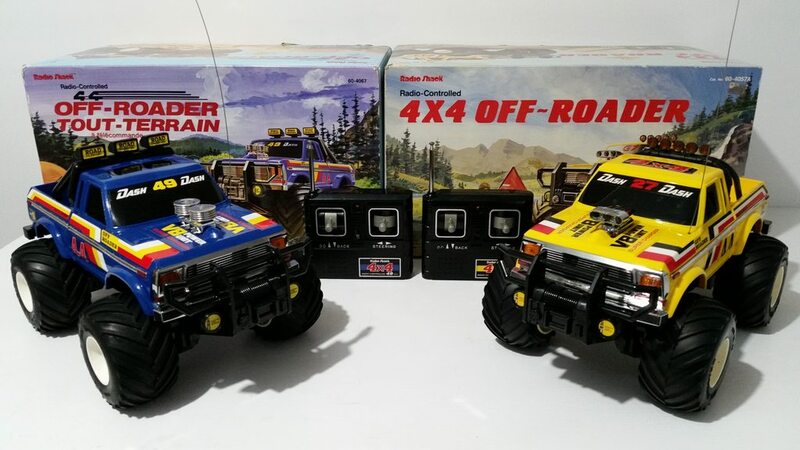 Also missing are the roll bar lights and it has a broken tab on the battery door on the truck. 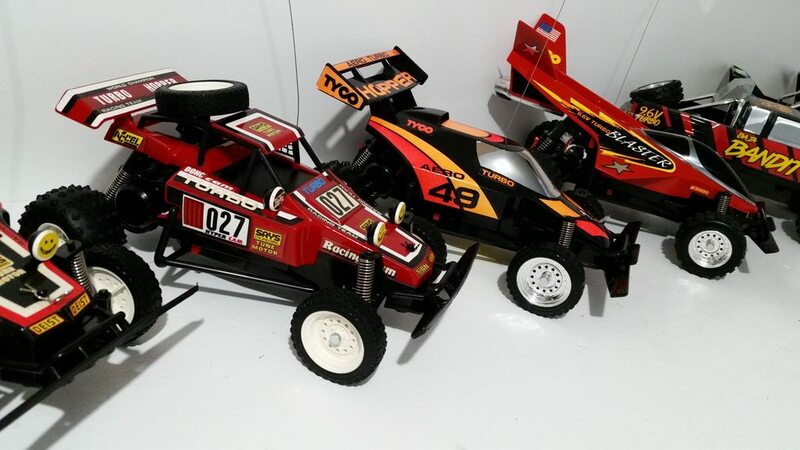 When I first got I could just barely turn the rear wheels. I removed the gearbox from the truck, removed the motor, and split the gear box as much as i could. 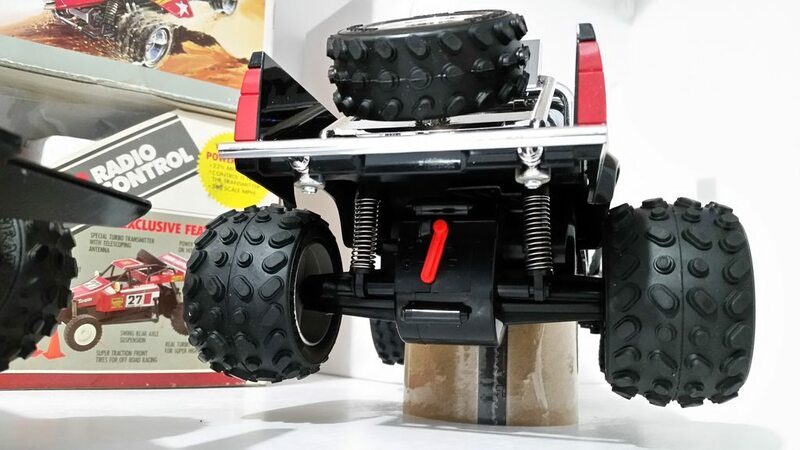 This allowed me to blow out all the beach sand and with a few rounds of de-greaser and compressed air I was able to turn the rear axle and actually move the gear selector. 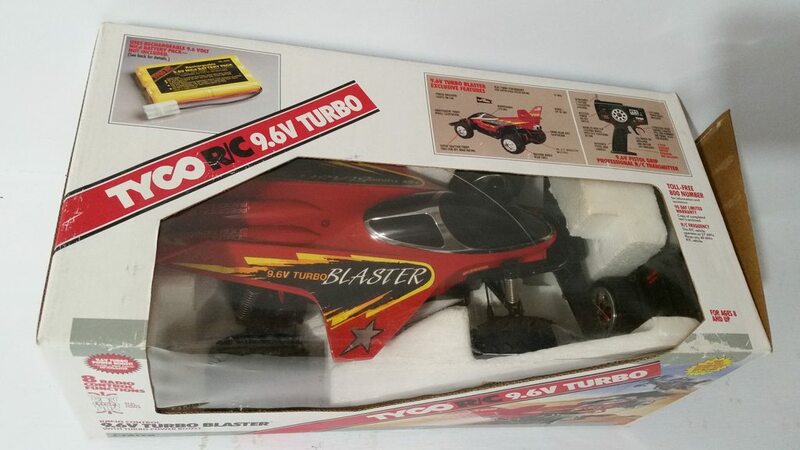 The box for this one is in nice shape, and after a lot of cleaning on the truck it displays pretty good. Hey Mark, it looks like you've exceeded your hosting limit for photobucket, but you can upload images to your post here. They might need to be reduced in size for the forum restrictions, but it is an option. 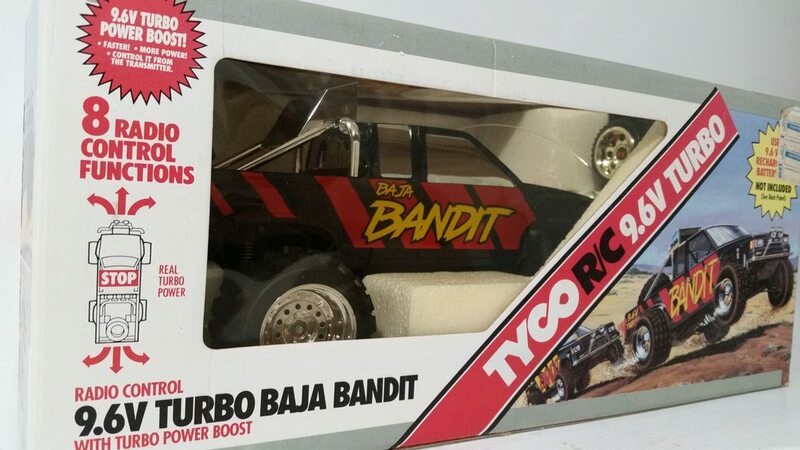 Well after lots of searching I lucked out and found a good deal on a new open box 9.6V Turbo Bandit, I've never seen one so mint before. That does look awesome! Does it even run? Seems too good to be true. 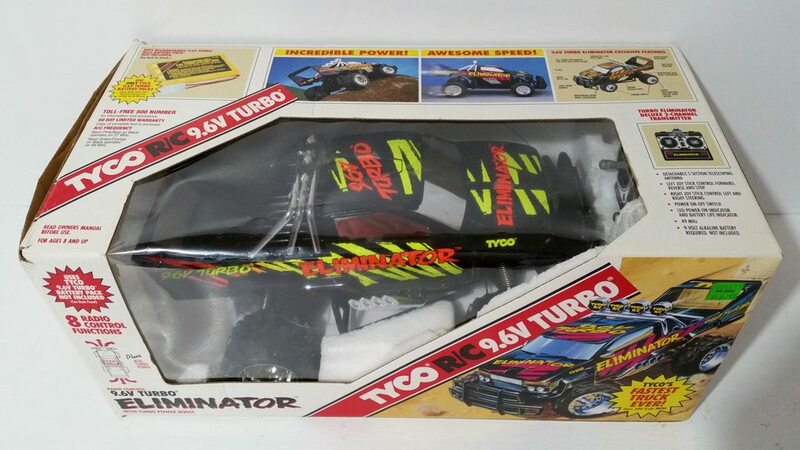 Tyco 9.6V Turbo Blaster added to the collection. 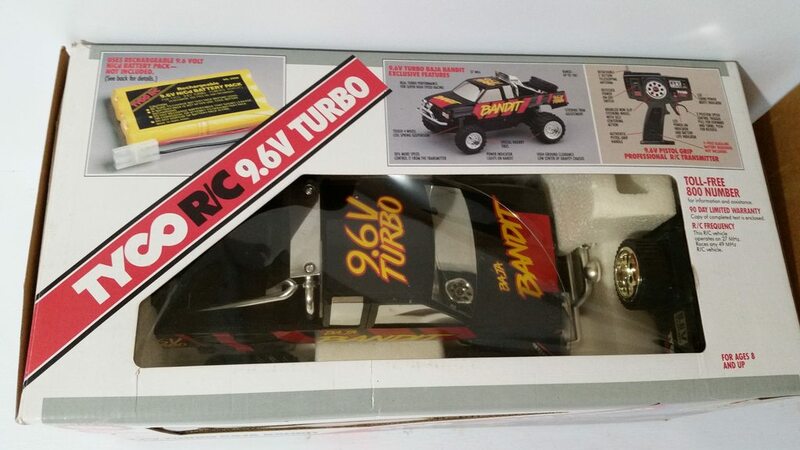 This is another Ebay find complete with box in very nice condition. 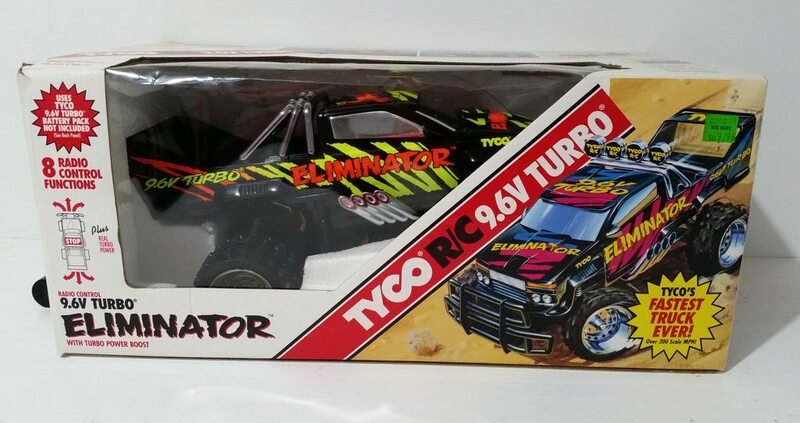 This was my first Tyco 9.6V car as a kid back in the day so it's nice to have it in the collection.